Hey guys, I have came up with a small tutorial on securing your iPhone Backups with the help of encryption technology. Why You need to Secure Your iPhone Backups With Encryption ? 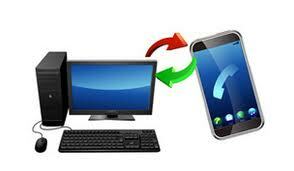 We take back ups of Contacts, messages, Data & all inportant information on our iPhone. But imagine any how if some one compromises your iPhone or having access to your iPhone backup, he will get acces to all of your personal data easily. So that is why you need to encrypt the back up of your iPhone Data. What does Encryption means( in simple Language ) ? Encryption & Cryptography are huge & interesting security measure to discuss, but you can refer to my article Security with Data Encryption. Hope it will be helpful for you. If you are not interested – just skip to the following step by step tutorial. 1. Connect your iPhone to the computer with the help of the data cable & open iTunes. 2. Now you have to select iPhone in the iTunes sidebar and then scroll down to ‘Options’, which is located under the “Summary” tab. 3. And now just select the check box of “Encrypt iPhone backup”. You’re done now. Every time you access or restore back up, It will ask you for password. So you are secured with this iPhone encryption. You can also select Self destruct if some one attempts for number of failed logins attempt. Let us know if u need any help in following comments.